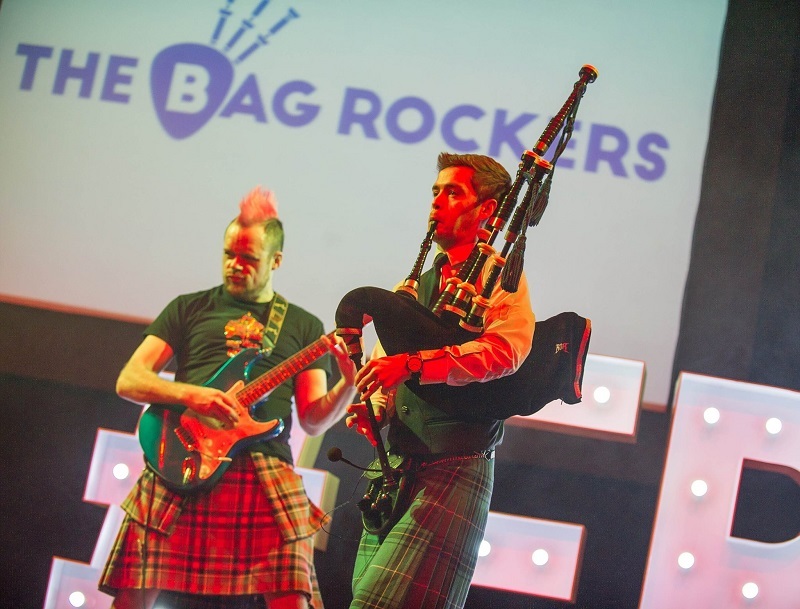 The Bagpipe Rockers have introduced a modern twist to traditional Scotland with their tongue-in-cheek, high energy performances, gaining them an outstanding reputation as one of the most entertaining acts on the corporate circuit. 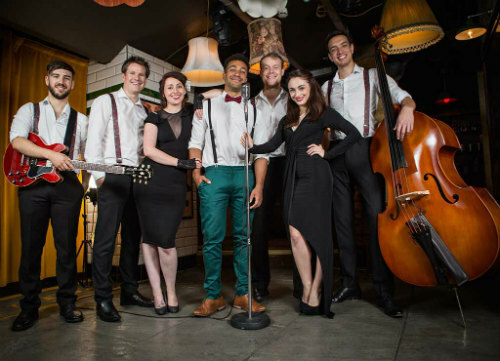 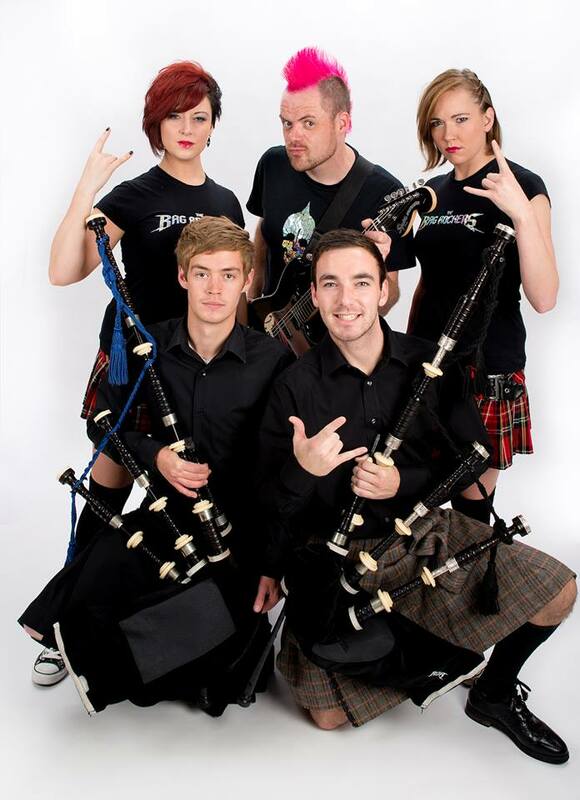 These fantastic corporate entertainers will have your guests rocking in no time! 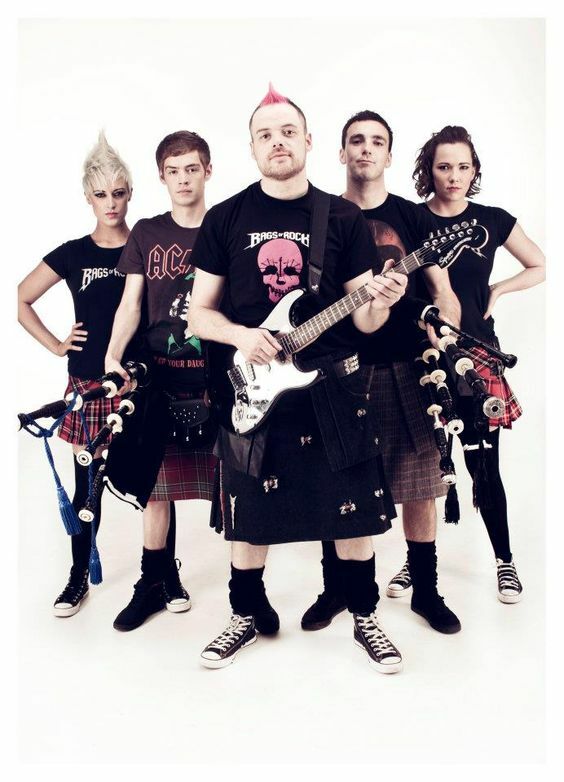 They have played from Kiev to Kuala Lumpur and lots of places in between, and whether to a Scottish, UK or International audience, no one can resist the freshness and warmth of The Bagpipe Rockers’ performances which cater for all ages and all tastes and are guaranteed to leave everyone uplifted and with a smile on their faces! 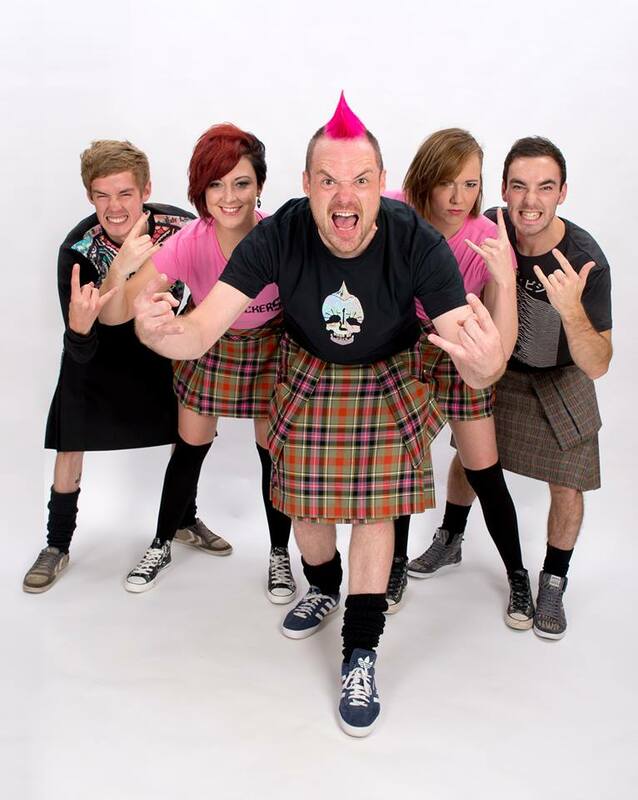 The Bagpipe Rockers’ five piece band features the zany, pink mowhawked frontman/guitarist Gregor “G-Man” James who, for four years, zoomed around the world as guitarist/frontman in the original line-up of the Red Hot Chilli Pipers. 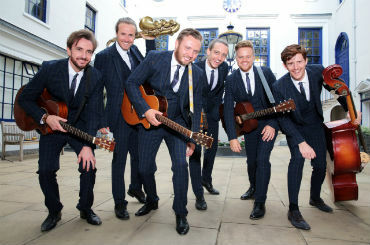 Along with Gregor the band comprises two grade one professional pipers, one having been the Lone Piper at the Commonwealth Games Hand Over Ceremony in Delhi, playing to a televised audience of one billion people! 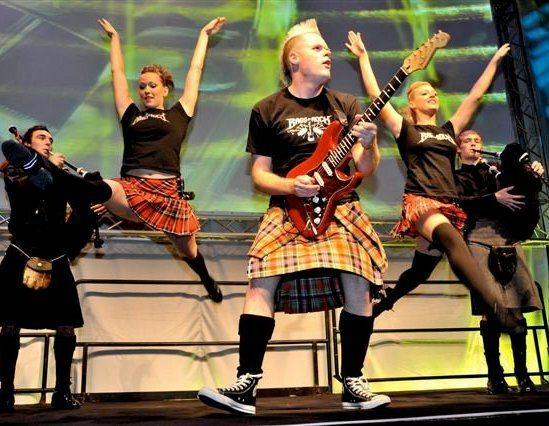 Completing the band are two female professional acrobatic dancers, adding that bit of Scottish spice to the shindig!